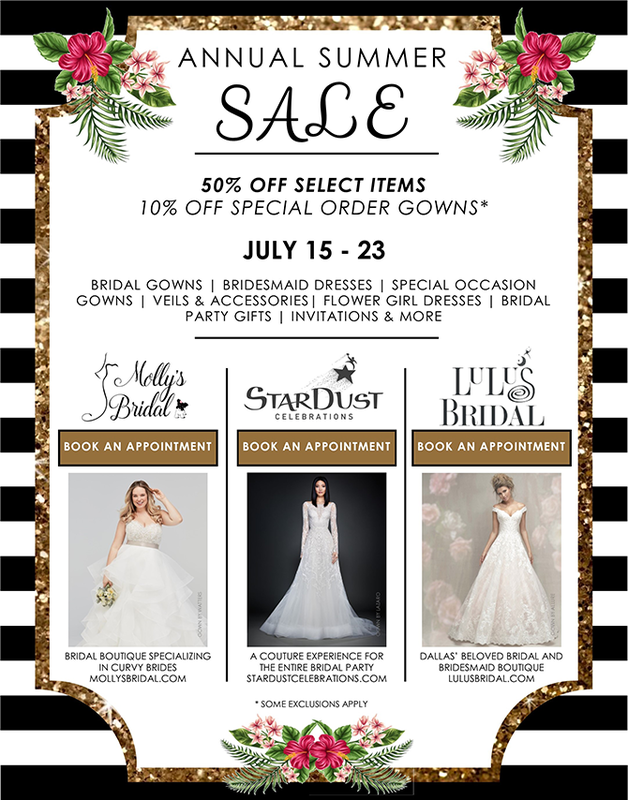 Join us for unbeatable deals on all things bridal at Molly’s Bridal! Our Annual Summer Sale is an event you do not want to miss. See below to book your appointment at any of our participating locations!